GAGETALKER SPC Pocket REFERENCE w/Graphs;Charts;and Formulas;1992 PB;48 pages. GAGETALKER SPC Pocket REFERENCE with Graphs. It's an excellent quick reference for the SPC charts and formulas. 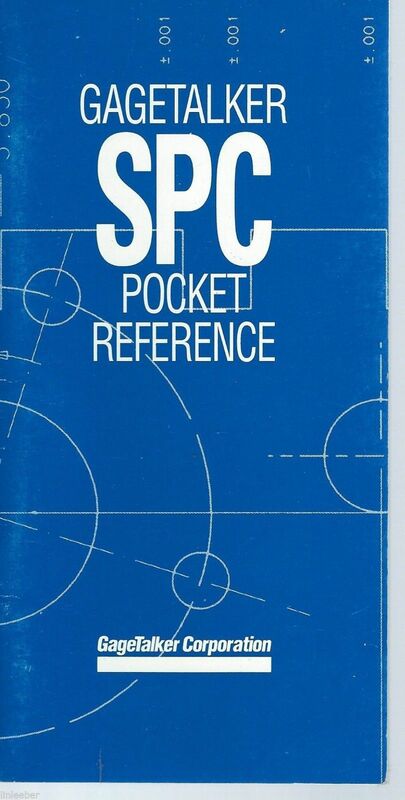 SPC Pocket REFERENCE with Formulas. 2/92.